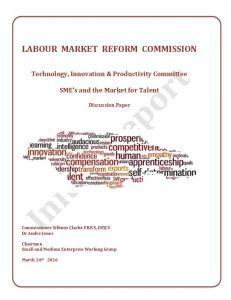 Dec 2, 2015 - Labour Market Information Systems / National Employment Portals / National. Employment ..... Real estates, Business Act & finance. 73,600. 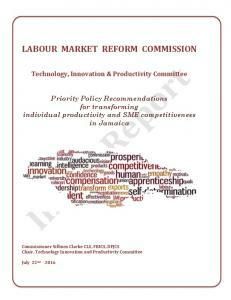 Commission; Technology, Innovation and Productivity Committee |. 1. Working Group ...... 32,200. 41,800. Real estates, Business Act & finance. 73,600. 17,200. May 11, 2016 - Clarke, S., Jones, A., Douglas, C., & Duncan, N., (2016). 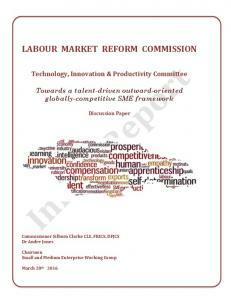 Towards a talent-driven outward-oriented globally-competitive SME framework :. Jul 22, 2016 - Mobile Money Strategy for increasing productivity, increasing compliance ... d) Hire and Fire practices should be reviewed to eliminate rigidity .... at the other end (eg digital artists, digital designers and micro-app developers). Mar 28, 2016 - Mr. Granville Valentine ..... High-growth SME's should be identified and supported with business development ..... trade associations, think tanks, business schools to analyse the ..... economy in South East Asia (Akamatsu. Mar 28, 2016 - Add Development Banking model; the PPP Business. Development ...... Hiring and firing practices are rated low (80/140, WEF 2015). 3. ...... increasingly represents a key area for software development through mobile apps. b.
Jul 12, 1999 - Independent Namibia inherited a highly segmented labour market, where every ..... Namibia's record of economic and social development in general, and of economic reform ..... 2009. 1087. 1333. 1062. 1800. 1588 finance etc. 2947. 2786. 3306 ..... revitalise its role with the election of a new board in 1996. Namibian Economic Policy Research Unit (NEPRU) July 1999 Abstract Namibia does not represent a case of structural adjustment, that is, a kind of economic reform in a situation of crisis with a high leverage of external actors (IMF, World Bank). Rather, the agenda for economic reform is set by the government, and addresses the problems of the high poverty and extreme inequality of a dualistic economy which emanate from a mineral-based enclave economy and from a past policy of racial segregation (apartheid), which restricted the benefits of education and other social services to the privileged. Government policy is aimed at promoting growth and employment and reducing poverty and inequality. Key instruments for achieving these aims are high expenditures on education, health, a universal pension system, and other social services. 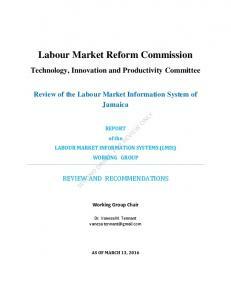 Further to this, measures have been taken to create employment and to redress inequities on the labour market. At the same time, the Namibian Government follows a market-oriented and open economic policy, based on acknowledgement of the fact that the problems of poverty and inequality can only be overcome in the context of economic growth. The aims of the government include a balanced budget, a conservative approach to foreign debt, and public sector reform. However, progress in the achievement of these remains limited. Namibia’s economic record since independence in 1990 compares favourably to both the pre-independence decade and the sub-Saharan African (SSA) average, but remains inadequate to the task of significantly raising per capita incomes - in fact, since 1994 per capita incomes have been stagnating. Independent Namibia inherited a highly segmented labour market, where every defined ‘ethnic group’ had differentiated access to employment and to wages, with a major underlying factor being unequal access to education. Figures do not exist for tracing the record in social development precisely, but it is clear that poverty and inequality remain a major problem. Unemployment has increased, as the declining importance of agricultural employment has not been compensated by commensurate increases in employment in the industrial and services sectors. Namibia’s formal sector is characterised by its large size and high incomes. Sheltered by the high tariffs of the Southern African Customs Union (SACU), these are increasing and outstripping productivity increases. They also reflect the high degree of unionisation and the scarcity of skills. Then there are the small nonagricultural informal sector and agriculture, with low, market-determined incomes. Thanks go to Sally Wood for language editing. Bruno Venditto is at NEPRU on study leave from the Research Institute on the Mediterranean Economy, Italian National Research Centre, Naples, Italy. Poverty is concentrated among the rural population (subsistence farmers, agricultural and other workers). Significant progress has been made when one compares the present to the inequitable situation of the past. However, despite high expenditures in the social sectors, the outcome remains limited, due to inefficiencies. Confrontational labour relations were inherited and have not yet been overcome, despite a policy of reconciliation and collective bargaining, and are identified as a key problem by investors. A related problem is that the trade unions represent mainly the predominantly non-poor urban workers and employees. 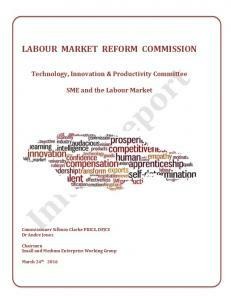 The involvement of labour market institutions in the process of economic reform is limited, due to two principal factors. Firstly, the institutions do not yet represent the social partners in their totality, and secondly, this capacity of economic policy analysis is itself limited. Measures to augment the role of social partners in the formulation of economic policy reform include the following: • strengthening the voice of presently underrepresented groups (low-paid workers, especially in the informal sector; informal sector operators) • strengthening the capacity of the social partners in economic policy analysis • strengthening institutionalised tripartite mechanisms • providing better information to the general public (e.g. capacity-building of economic policy journalists) • providing timely and comprehensive economic information (statistics) to facilitate an informed debate). 1. Introduction Namibia’s record of economic and social development in general, and of economic reform, employment, labour market institutions, and the role of the social partners in particular, is, despite some similarities to other Southern African countries, significantly different in many respects. For example, although it could be argued that Namibia is following a policy of economic reform, this policy is not externallyinduced. In other words, the process of economic reform is largely home-driven and does not fall into the category of ‘structural adjustment’, which implies a specific kind of reform policy engineered primarily by the World Bank and the IMF. This introduction gives an overview of the specific characteristics of the Namibian economy (section 1.1) and social development (section 1.2), before addressing the issue of economic policy reform and its acceptance by the social partners (section 1.3). Section 2 characterises the Namibian labour market and its development over time, an indicator of the effect of the economic reform policies. Section 3 describes the institutional framework of economic policy reform, with particular emphasis on the involvement of the Ministry of Labour and the social partners. Section 4 forms the conclusion, with an assessment of the impediments to tripartite involvement in the process of economic reform and recommendations for its improvement. Source: CBS, 1998 and UNDP, 1998; for 1998 and 1999: NEPRU estimate. Contradicting this trend is the growing fisheries sector, which has the potential for further growth, together with the fish processing industry. Growth within the manufacturing sector remains disappointing. EPZ activities are not yet included in the official statistics. 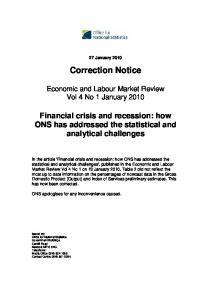 In general, economic statistics are not comprehensive at this stage. The Namibian economy, which is characterised by the small dimension of its internal market, is essentially driven by a large non-tradable sector (government services) and an export-oriented primary sector (fisheries, agriculture and mining). The fisheries and mining sectors are mature and relatively capital intensive, and therefore not able to improve the unemployment situation in the country significantly. Moreover, the fisheries and diamond mining sectors are quota-driven, while the remaining mining sub-sectors are demand-driven, indicating that growth is mainly influenced by external factors. Growth in the supply-driven agricultural sector has been low as a result of drought-related shocks. * The Gini coefficient is used to show the level of inequality in a country. It can vary between 0 an 1. 0 represents the max. level of equality, while 1 represents the max. level of inequality. farmers. The commercial and political centre of Windhoek in the Khomas region has by far the highest average household income (N$ 47,409). It is however worth noting that in the period 1997-1999, all but the defence sector saw a decline in the percentage allocation of the total budget. Over the years Namibia has afforded an exceptionally high share of public expenditure on education (9.4% of GNP), which is more than double the average of countries with comparable incomes (see following figure). This seems appropriate in the light of an increasing acknowledgement of the importance of skills (and therefore education) as a powerful explanatory factor for growth. Expenditure on education is also directly pro-poor, as education is an important way out of poverty. However, the efficiency of the expenditure on education remains limited, as shown by the high rates of drop-out and repetition of students (Schade et al. 1998: 39-45). Areas limiting poverty alleviation include: • the high subsidisation of tertiary education (which has higher private rather than social returns); • persistent regional inequities (to the debit of the poorest regions with most of the poor); • limited attention to needs of the labour market (e.g. emphasis on vocational training, entrepreneurship). Namibia’s health expenditure is also exceptionally high (more than double the SSA average; see following figure). This is principally pro-poor, both directly, by improving the living standards of the poor, and indirectly by improving the quality of the labour force. schools and clinics/hospitals. The real problem is not so much the total value of social expenditure, as how effectively the available resources are used. Other countries have in fact achieved more with lower levels of social expenditure (Husain 1996). 1.3.2 Policy reform to overcome inequities of the labour market The Government of independent Namibia recognised the necessity of creating employment, but also the urgent need for skilled Namibians to occupy strategic positions after the colonial period. Employment creation was given high priority in the NDP (it is one of four development objectives). In 1990 the Ministry of Labour and Manpower Development (now the Ministry of Labour) was established. The government enacted policies and legislation aimed at furthering labour relations conducive to economic growth and improved wages and conditions of employment, through the promotion of an orderly system of free collective bargaining (GRN 1995: 129-30). This includes policies and legislation to: • advance persons who have been disadvantaged by past discriminatory laws and practices; • ensure equality of opportunity for women, particularly in relation to remuneration; • provide maternity leave and employment security for women; • promote sound labour relations and fair employment practices by encouraging freedom of association by way of, inter alia, the formation of trade unions to protect workers’ rights and interests, and to promote the formation of employers’ organisations; • lay down certain obligatory minimum basic conditions of service for all employees; • ensure the protection of the health, safety and welfare of people at work and to prevent the abuse of child labour; • where possible, adhere and give effect to international labour conventions and recommendations of the International Labour Organisation. Relevant policy instruments include: • the Labour Act (1992) • the National Vocational Training Act (1994) • the Social Security Act (1994) • the Export Processing Zones Act (1995) • the Public Service Act (1995) Other relevant policies include the promotion of labour based works (a Green Paper has been published which forms the basis for a White Paper currently under preparation) and employment in Government and parastatal organisations. Budget deficits have oscillated around 5% of GDP over the years (Figure 10), though public debt as a whole has increased steadily and reached N$4.5 bn this financial year, equal to 23.5% of GDP. Due to the integration of Namibia’s financial market into that of South Africa, public debt does not crowd out private investments. However, rising debt - and with it, debt service - increasingly limit the freedom of government to spend on other items, including social spending. progress of re-negotiation of the SACU agreement drags on, Namibia is attempting to overcome its anti-export bias through an export-processing zone (EPZ) scheme. The success of this scheme has so far been limited, mainly due to bureaucratic procedures and limited skills (MTI 1999a). 2. The labour market and its development over time Unfortunately, information on Namibia’s labour market is limited (Hansohm 1996, World Bank/NAMAC 1999). No information is collected regularly on key indicators such as employment, wages, and productivity. Instead, extensive surveys are carried out every few years. The results of these are only available following a considerable time lag (for example, 4 years in case of the 1993 informal sector survey). The following surveys have been conducted on the labour market and employment: • Population and Housing Census 1991 • Establishment Survey 1992/93 (published 1994) • Informal Sector Survey 1993 (published 1997) • Namibian Household Income and Expenditure Survey 1993/94 • Labour Force Survey 1997 (draft available) • Establishment Survey (1998, to be processed by end 1998) There are a number of inconsistencies in these data sources. For example, the 1992/93 survey was to be confined to the ‘formal or modern’ sector, although no operational definition existed to demarcate the formal from the informal sector. Previous surveys had not made any distinction between these two economic segments (MLHRD 1994: 7). For the 1993 survey, the formal sector was defined as consisting of all establishments with more than 4 employees, but strict adherence to this definition was precluded by lack of information on employment size of most enterprises. Following an introduction to the situation regarding the labour market at independence, the following sub-sections present available data on employment, and its distribution and wages. schools (NPC 1998). This system created on the one hand a large army of unskilled and unemployed persons, and considerable skill shortages on the other. 2.2 Growth of employment and unemployment According to the Labour Force Survey 1997 (MoL 1998), unemployment has grown steadily since independence, from 19% (1991) to 33% (1997). The combined unand underemployment rate is estimated to be as high as 60%. However, this should be seen in the context of Namibia’s rapid population growth. Only employment growth above population growth can be considered real employment growth. Unfortunately, information isn’t available on other sources of income, or the shares of different income sources in total income, which precludes a clearer picture of the condition of the poor, since they generally depend on multiple sources of income. Source: NEPRU DataBase Figure 15 shows how during the period 1992-98, wage increments in the mining sector were higher than the inflation rate. As the labour market is not unduly regulated (there is no minimum wage, although this is being discussed), a main factor determining high labour costs is the strong influence of the trade unions in the formal sector (public and private). The trade unions are very vocal and influential on account of their close links with the ruling party. As they largely represent only the relatively highly-paid employees of the public sector and large private firms, Namibia conforms to the picture of a ‘labour aristocracy’ (Arrighi 1973), rather than that of an ‘informalisation’ of the labour market (Jamal and Weeks 1988, Vandemoortele 1991). A trade union of domestic workers has been established which has helped to publicise the case of this low-paid group, members of which often work under exploitative conditions, though this has not yet had a significant influence on wages or working conditions. n.a. n.a. 13 17 n.a. n.a. 9 6 16 n.a. p.p. - per person All 1994 figures except for South Africa and Swaziland (both 1993). Clearly, Namibia’s labour productivity appears to be much higher than in all other countries except for South Africa. 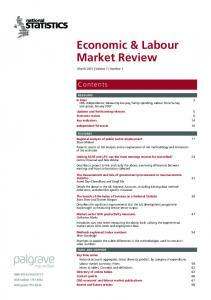 Cheap labour economies seem to fail in terms of labour productivity comparisons. Indeed, this is an advantage to Namibia although increasing average labour costs in the sector could send investors to cheap neighbouring economies wherein longer hours may solve the productivity constraint. factors) are good indicators. According to most reports, these appear to be push factors of unemployment and the need to earn a livelihood (Hansohm 1997: 13). Low income levels and high levels of underemployment in subsistence agriculture are widespread in the sector. The survey of Norval and Namoya (1992) indicated that the search for survival and employment are the principal motivations for small scale entrepreneurs (76%), rather than an expectation of higher incomes (a ‘pull factor’; only 21% of respondents). It appears that people take up small business activities more as a ‘last resort’ than for any more positive reasons. According to an ILO survey (MoL 1997), the most important reason for starting a business was also the lack of any other job opportunity (push factor, rather than pull factor). This contrasts with evidence from South Africa, where a high percentage of small entrepreneurs prefers this occupation. It also contrasts starkly with a NEPRU study (Kadhikwa et al. 1996) covering Namibia’s coastal and north central areas. In both areas, most interviewed entrepreneurs mentioned positive, ‘pull factors’ as reasons for going into business (‘better income’, ‘independence’, ‘I like this job’). As mentioned above, the NEPRU/GOPA study found that most small business people had worked in formal businesses before, and had been pulled into the small business sector by a lack of other possibilities, rather than pushed into it. The MTI’s 1999 baseline survey for Erongo and Otjozondjupa (MTI 1999b) found that 55% of interviewed entrepreneurs were positively attracted by self-employment, while the rest would have preferred to be wage earners. This indicates that, where in an ideal world employer and employees’ organisations would negotiate wages and other aspects of labour relations, in the Namibian context the active role of Government seems necessary to overcome incidents of confrontation. Tripartite co-operation can be seen as one of the main instrument for addressing the problems faced by the labour market and by the Namibian economy as a whole. As stated in paragraph 5 of Recommendation 113 [ILOLEX, (1999)] consultations and co-operation should aim not only for a reduction in labour conflicts, but also for the joint “...elaboration and implementation of plans of economic and social development”. Although the term “tripartism” is mainly found in industrial relations’ jargon, and can refer to a wide range of concepts, we will use it mainly with the latter definition, i.e. as institutional arrangements for consultation and/or negotiation between representatives of workers, employers and the Government in the formulation of public policy on social and economic issues. In order to analyse the mechanisms that regulate tripartite co-operation/consultation in the Namibian economy, in this section we have looked at the main actors involved in this mechanism, namely the Ministry of Labour, the employer federation/organisations and the employees’ organisations, as well at the role of nongovernmental organisations. From here we will move on to consider the main bodies wherein these consultations occur. A short presentation of each acting institution/organisation is presented, followed by a description of their views regarding their role in economic policy reform, their evaluations of the Namibian economic situation, and their views of the tripartite mechanism. According to the Labour Commissioner, the relationships between himself, trade unions and employers has improved since independence, and a spirit of ‘togetherness’ is growing, in turn diminishing confrontational attitudes. Although consultation is commonly held when there are disputes, tripartite consultations are arranged occasionally on request by any party, with regular meetings organised through the Labour Advisory Council. This is a statutory body for which the Labour Act makes specific provision and is devoted to tripartite consultation. It was established in 1993 and its members are appointed for three years. The social partners - trade unions and employers - and the Government are represented by four members each, with the Labour Commissioner as the chairperson. Its main objectives are to advise the Government on the following: • Formulation and implementation of national policies relating to basic conditions of employment, including vocational training, apprenticeship and health, and safety and welfare at work. • Promotion of labour relations. • Amendments of the Labour Act or any law related to labour matters. • The prevention or reduction of unemployment • Any other matter the Council deems fit. The Labour Advisory Council meets every two months. The agenda of the meeting is determined by the members, a document is prepared and recommendations are given to the Government. It is through such a body that holistic tripartite consultations should be carried out, though we can observe that consultations are commonly practised on labour matters rather than on general economic issues. With Namibia being a member of ILO, the Labour Commissioner has benefited from training courses and workshops. In conjunction with the ILO, the Labour Commissioner has organised workshops for trade unions and employers on health and safety, child labour, social security and affirmative action. Economic situation and economic policy reform The Commissioner has a positive view of the performance of the economy, though his main concern lies in the attracting of investors. In his view, although the environment is conducive to all investors, incentives for local investors are picking up at a slow pace and are not catered for under the recent Export Processing Zone Act, since the standards are unattainable for emerging enterprises. In the view of the Labour Commissioner, a forum is needed whereby foreign investors can meet their counterparts, instead of politicians. minimal. The result of this has been a lack of experience in such issues, although tremendous strides have been made since independence. The main structures that represent the interests of the business people’s/employers’ community are the Namibian Employers’ Federation (NEF) and the newly-created Namibian National Chamber of Commerce and Industry (NCCI) which has among its affiliates one of the biggest Chambers, the Windhoek-based one (WCCI). 3.2.1 Namibian Chamber of Commerce and Industry The history of CCIs in Namibia dates back to 1917 when an informal association of businessmen was established in Namibia. Prior to independence the Chambers of Commerce were comprised of small “clubs”, exclusive business associations which were poorly-integrated with one another. Shortly after independence the Namibia National Chambers of Commerce and Industry (NNCCI) were established with no access-discrimination for business people. The creation of the NNCCI was accelerated by the Government’s need to have an independent organisation with which to consult, representing the interests of the private sector. Over the years the NNCCI has not been particularly active, and little progress has been made, possibly because some sectors of the Namibian business community did not want to be affiliated to it as it was perceived as a ‘black’ organisation. However, in the last three years the chamber has been revitalised, and in September 1998 the NNCCI adopted a single structure adopting one constitution, transforming it into the Namibia Chamber of Commerce and Industry (NCCI) with the local chambers becoming local Councils of the NCCI. The aim of the NCCI is to perform the function of advocacy, representation and the provision of relevant service to the local business community. The new single chamber does not intervene with the process of voluntary representation, articulation and accommodation of local concerns. The mandating process emanating from the local business council will determine the national agenda of the organisation. With the restructuring of the NCCI, the organisation has committed itself to a more prominent role through tripartite consultation in achieving national economic objectives. Although the NCCI is still fine-tuning its structure, the focus is to influence economic policy both on a macro and micro level. This will be done through the launching of the Economic Policy Forum which is planned for later this year as well as through regular formal meetings with Ministries. With the restructuring, the NCCI should have the capacity to deal with policy issues through the economic committee, which is composed of senior staff from various companies. Currently the NCCI has a good working relationship with all the National Chambers of Commerce and Industry in the Southern Africa region, as well as with the Indian Chamber of Commerce and Industry. Representing the entire business community in Namibia, the NCCI uses membership fees as its main source of finance, though it is also generates funds from donors. though not in all pressing issues. The creation of new institutions will complicate matters, especially if this is imposed from outside and not driven by internal needs. The consolidation of existing institutions is what is required to make these institutions more efficient and effective. when the Bills where blocked by the opposition of the union, and were approved only after union recommendations were incorporated. The relationship with other local union federations in terms of contribution to policy formulation is not very strong at present, mainly for political reasons. However, the federation recognises the need for a better and healthier relationship, which both parties should work hard towards. Occasional discussions have taken place with the Labour Business Council, which was set up by the private sector. Regular consultations with other federations and the Government only take place when the need arises, particularly during disputes with formal consultation through the LAC. Economic situation and economic policy reform The federation does not have a very positive view of current economic performance, emphasising that it is not satisfactory. However, it has expressed the view that the situation is slowly improving, especially in the case of the previously disadvantaged who have seen an increase in their participation in business activities. The federation stresses that current economic policies are not discouraging but more attention should be given to educational policies. Tripartite co-operation and tripartite consultation The NUNW believes that tripartite co-operation does occur and is producing results. The legacy of the past, in particular the dichotomy which still exists between white employers and black employees, is hampering its effectiveness. Although the federation has benefited from ILO tripartite training, it still lacks the capacity to handle tripartite consultations and negotiations. There is a need for more professional people, especially economists, lawyers and industrialists. According to the NUNW, there is no need to have new tripartite institutions, since the LAC is fulfilling this role; rather it needs reform in terms of social partners’ representation. In particular there is the feeling that the NUNW - being the most representative trade union - should have been allocated all the available seats. 3.3.2 Public Service Union of Namibia As is the case with other trade unions, PSUN was established during the colonial era, in 1981, when labour laws did not allow trade unions to operate in the public sector. At that time it was called the Government Service Staff Association (GSSA). The PSUN was then created after independence. With a total number of roughly 25,000 members, the PSUN is one of two unions representing civil servants. According to the Labour Act, Art. 58, in order for a trade union to be recognised as a sole bargaining body it has to have a 50% +1 majority, which was obtained by the Namibian Public Workers Union (NAPWU) - affiliated to the NUNW - during the 1996 election. For this reason, the PSUN is not legally recognised, and is not always invited to contribute on policy reforms. However, they do submit contributions as they deem fit, and whenever asked, as was the case with the Labour Act and Affirmative Action policy. PSUN does not have a separate department for policy formulation with properly trained personnel, but relies on its members who are part of the executive committee when its comes to policy formulations. Its mandate is to look after the well-being of the workers through which the union becomes involved in policy formulation. PSUN indicated that the economic situation is improving slowly, but the distribution of income is skewed. The union believes that economic growth is being hampered by a lack of vision and by individualism at the expense of consultations among different ministries, as well as by corruption. According to the union, the curbing of corruption and consolidating co-ordination among ministries are what is necessary for economic growth. In the PSUN view, a tripartite Labour System emanates from : • A strong belief in the power of sharing • An acknowledgement of the interdependence of the social partners • The acceptance that we all share a common destiny. Tripartite co-operation and tripartite consultation according to PSUN exists in a limited capacity, since not all social partners are consulted. 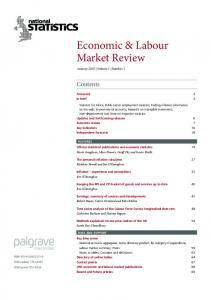 It is more common on labour issues than on economic policies. The union believes that the right institutions (Labour Advisory Council) are in place, but that it should broaden its composition and participation. preventing regular meetings from taking place. The Committees created for the specific purpose of overcoming the size problem have not met regularly, and only a few have been able to provide recommendations to the Government. The lack of a specific structure to follow up recommendations could also be considered a deficiency. In order to revitalise the structure and make sure it fulfils its mandate, in April 1999 a PEAC Secretariat was created whose main responsibility was to oversee the activities of all the Committees, to ensure that they meet regularly, and that reports and recommendations are prepared and submitted as required. It also should ensure that these recommendations are followed up and implemented by the Government. Currently there are only two people working full-time for the PEAC Secretariat and this may hamper its activities. However, the need for an external consultant are being budgeted for, and these are hired whenever the expertise required cannot be provided by other PEAC members. Economic situation and economic policy reform The PEAC Secretariat has a positive perspective on the country’s economic performance, though stressed that any problems are in part due to the performance of the world economy that influences the country, or to exogenous factors that cannot be easily foreseen - for instance drought. If reforms are to be carried out, the PEAC Secretariat recommends that these should be in the public sector, specifically in education. However, it indicated that research is required to provide ministries with an overall view of the effect of their policies on the economy, and acknowledged that this is its responsibility. 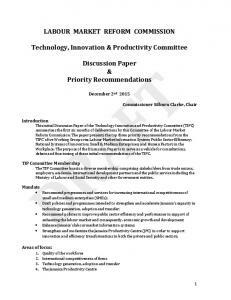 Tripartite co-operation and tripartite consultation Currently the PEAC is not a tripartite body, although it could be considered as the main institution of tripartite consultation. If it operates properly it could contribute to the creation of an atmosphere of trust and co-operation among the different sectors of the Namibian economy/society. 3.5 Non-Governmental Organisations (NGOs) Although NGOs are not expressly indicated actors of tripartite consultation, they could have an important role, giving voice to marginalised sectors of the society which are often not fully considered in policy formulations. The history of NGOs in Namibia dates back to pre-independence. Their activities were initially concentrated on advancing the cause of the liberation struggle, since there was the feeling that proper community development activities could not be carried out in an apartheid environment. With the transition to independence it become easier for NGOs to operate. They started to focus more on community development, and new NGOs were formed to render services to specific target groups. However, because of their previous involvement in political issues, they lacked experience, and furthermore most of their personnel was absorbed by the public sector as high ranking civil servants. 3.5.1 Namibian Non Governmental Organisations’ Forum (NANGOF) NANGOF was created as a national umbrella NGO in April 1991, becoming more effective in January 1995 following an agreement by members to have an office and full-time staff. It has about 60 member NGOs. In order to facilitate the role of its members, which is to address the need of the unemployed, disadvantaged and marginalised communities, NANGOF provides the following service to its members: Assisting with policy advocacy to influence the formulation of public policy in different sectors and assisting in capacity-building of its members. Its main source of finance is donor funds. Roles in economic policy reform formulation Namibian NGOs provide employment to a significant number of people through their community activities. NANGOF, being the representative body of NGOs in Namibia, is involved in all policy formulation that affects the interest of the poor and marginalised. It has a Policy Advocacy Unit composed of UNAM (University of Namibia) law students who monitor the developments of bills within ministries as well as in the parliament and national council, inform the communities affected, and gather the community’s opinions, at which stage NANGOF seeks consultants’ advice and submits recommendations accordingly. NANGOF is usually invited by the government to submit recommendations on policy formulation. This has been the case with the NDP1, the Land Act, SME promotions programmes and wild life conservancy policies. According to NANGOF, in most cases their recommendations has been taken up, but some have met with criticism. Because of its limited capacity, NANGOF has been more reactive than proactive on issues concerning its target group. NANGOF has a good working relationship with trade unions and employers’ organisations, especially with NUNW and NCCI. They formed a coalition with NUNW on a number of mutual issues such as land reform and privatisation. Their good relationship enables NANGOF to make use of the LARRI for information on labour issues. Tripartite co-operation and tripartite consultation According to NANGOF, tripartite consultation does exist through the LAC. However, this is more labour-relations orientated, and as a result does not cover all pressing issues. On the other hand, civil society is not proactive, and hence consultations only take place when the need arises, for example during disputes. NANGOF is of the opinion that socio-economic issues are not catered for by the current tripartite bodies. Therefore there is a need for a forum that can organise consultation on economic issues. Although NANGOF acknowledges the presence of PEAC in this regard, it emphasised that PEAC’s structure needs to be reviewed and restructured into a ‘think tank’ composed of real experts and not ‘top figures’. 4. Conclusions Consultation among the different actors of the economy is important for the sound development of any society. This is particularly true in the case of Namibia, where because of the colonial legacy and the diversity of cultures, there is a lack of experience in consultation. Consultation often starts only when conflicts arise, rather than preventing them, and in many cases each party finds it very difficult to move from its position. This element has undoubtedly hampered the effectiveness of tripartite bodies. At independence the Namibian Government committed itself to the principle of tripartitism: “The Government recognises the function of tripartism and will encourage the promotion of full co-operation and consultation between the Government, employees and employers, including the respective representative trade unions and employers’ associations” [National Policy on Labour and Manpower Development (1990)]. For this reason, relevant ILO recommendations have been ratified and specific bodies have been established to put those principles into practice. However, in expressing an evaluation on the effectiveness of tripartite consultations, it is clear that while trade unions, employers representatives and Government have been successful in regulating labour disputes and in disseminating the principles of international labour standards and regulation, they still do not truly co-operate when planning the economic and social development of the country. The true spirit of the ILO Recommendation No 113 is thus not yet fully functioning in the country. Furthermore it seems that consultation is not seen as a means of “receiving and analysing” the input of the counterpart, but often merely as a means of informing the other parties of decisions already taken. However, it is not the lack of tripartite mechanisms, but rather structural constraints that currently prevent the trade unions and business/employer organisations from being directly and effectively involved in policy formulation. Among them the most relevant is the lack of necessary experience and professional capability. Neither labour nor employers/business organisations have specific structures which deal with socio-economic issues. The LARRI is an exception to this, although at present its contribution to the dissemination of information and to the public understanding of such matters has been limited. The problem experienced by all is the shortage of full time personnel with managerial and technical experience to get involved in policy formulations. More efforts should therefore be made in training professionals in tripartite consultation and on policy formulation. The scarce availability of information both in terms of reliable statistics and relevant economic data is hindering policy formulation. The low degree of unity and co-operation among members trade unions, employer/business organisation and Government can also be seen as an obstacle to the formation of specific platforms for discussion with counterparts in order to develop a common path to development. NUNW affiliation to SWAPO was confirmed during the NUNW National Congress in September 1993. In the 1994 General election, five leading trade unionists were nominated and three of them elected in the Parliament as SWAPO members , [H.M. Jauch (1998) p. 81] 7 The Joint Co-ordinating Forum collapsed because in the 1994 public sector wage dispute PSUN accused NUNW of taking a “soft option” proposed by the Government. 8 This is more evident in the case of trade unions, which have often been marginalised in many aspects of policy formulation. The links between the NUNW and the government can provide a partial explanation for this, since unionists may be tempted to use party affiliations rather than trade unions to protect the interests of the workers. 9 The Exporting Process Zone Bill is a clear indication of such behavior: The Bill was presented to the Cabinet for ratification without even consulting the trade unions. Only when trade unions indicated that the Bill was against the Labour Act and ratified ILO conventions, threatening the Government to court, was the EPZ Bill discussed with the unions. 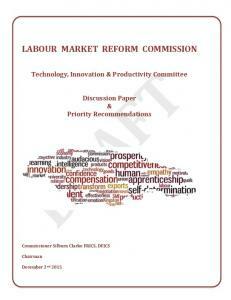 competent members to analyse the economic and political environment and provide recommendations to the policy makers. This means that there is the need to strengthen the capacity of the social partners in economic policy analysis, giving them more training and facilitating the creation of an economic research centre for both the trade unions and the employers organisation/federation, with full time staff appointed. There is a need to better inform the general public (for example, through capacity building of economic policy journalists) as well as to provide timely and comprehensive economic information (statistics) so to allow an informed debate. 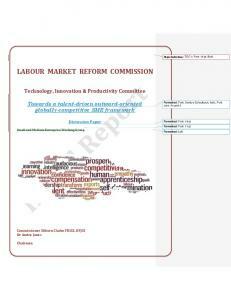 Report "Economic reform programmes, labour market ..."